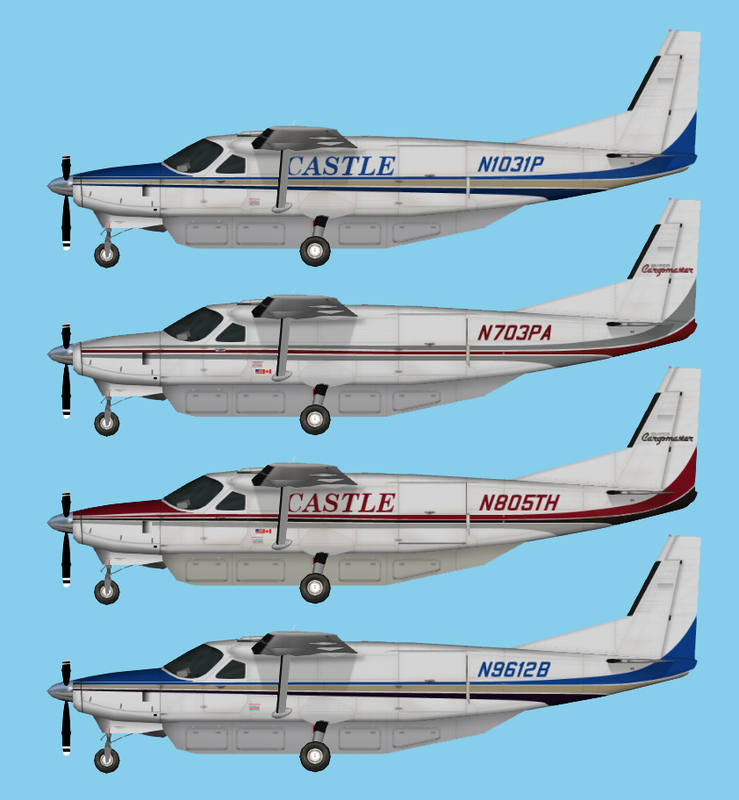 Castle Aviation Cessna C208B for the HTAI Cessna C208B base model. These are textures only. The HTAI Cessna C208B base model is required. It can be found at http://htai-models.com/downloads.html.